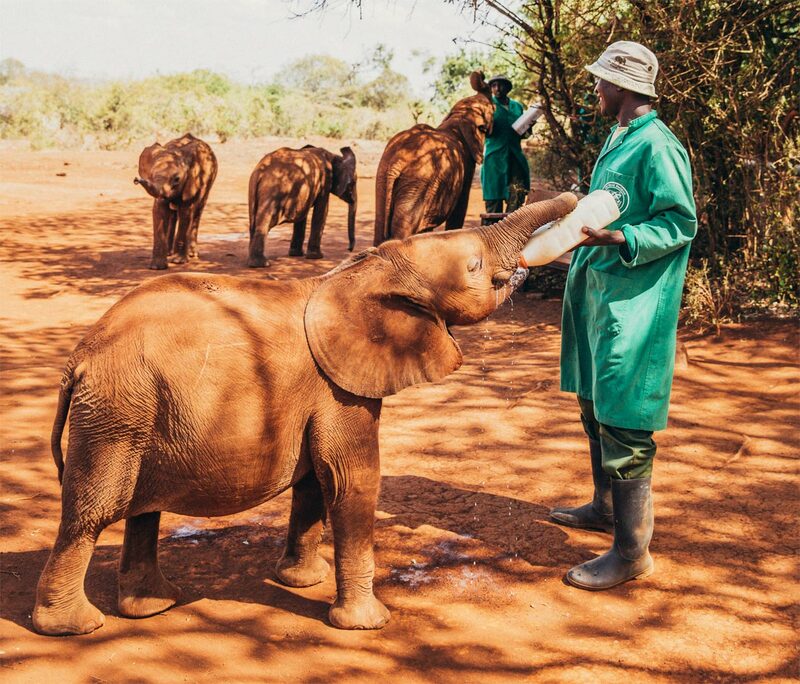 The David Sheldrick Wildlife Trust is the most successful orphan-elephant rescue and rehabilitation program in the world and one of the pioneering conservation organisations for wildlife and habitat protection in East Africa. 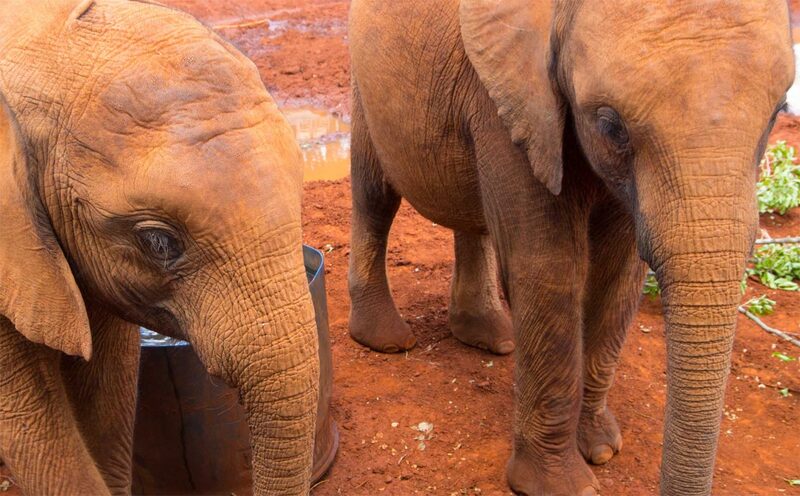 Chaired by Dame Daphne Sheldrick, the DSWT is run by their daughter Angela. Growing up in Tsavo and later in the Nairobi National Park, Angela has been part of the Trust’s vision from the beginning, supported by her husband and children. This is a very special place. I’ve just been on a private tour with head keeper Edwin Lusichi. Some of the orphans are barely a month old and on a drip. So tiny. Others older, stronger. 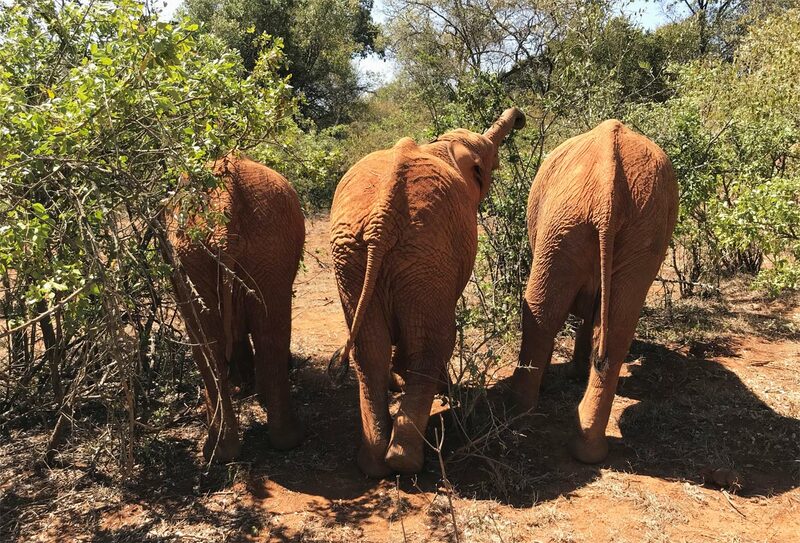 Meet their dedicated keepers who watch their charges 24.7 even sleeping with them in their stalls. 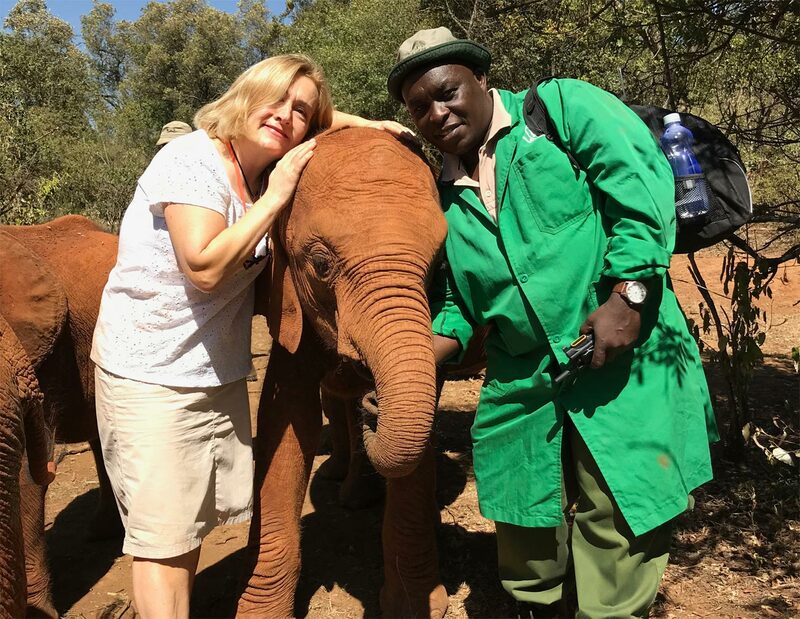 It was an honour to chat with Angela Sheldrick about the life-saving work of DSWT. Can you remember a time growing up when you didn’t have animals? 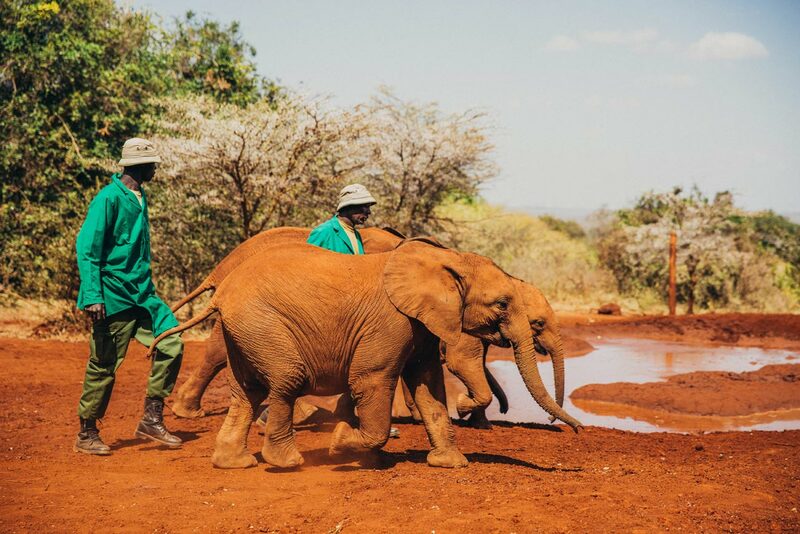 Our home was always full of animals, the wild kind and orphaned animals were constantly being brought into our care, as that comes with the job of being a National Park warden. My father was fortunate to have a wife gifted in the art of nurturing and raising animals of all species, as very often this was pioneering work. Your mum looked after the first elephant at home. What was that like? My mother and father raised the first orphaned baby elephants in the late 1940s but the neonate baby elephants were extremely difficult and over the years many died. 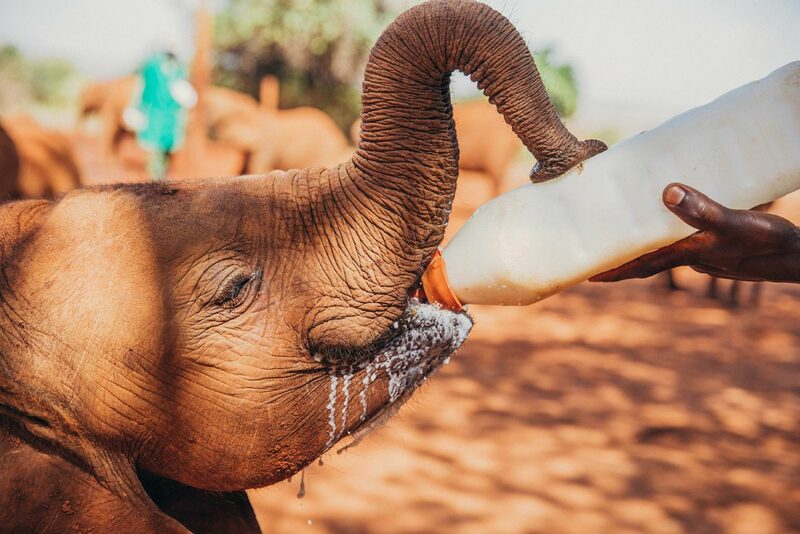 It was clear that their milk requirements were very different from every other species, and slowly Daphne got closer to unlocking the answer, eventually succeeding to raise the first infant milk dependent elephant in the world. 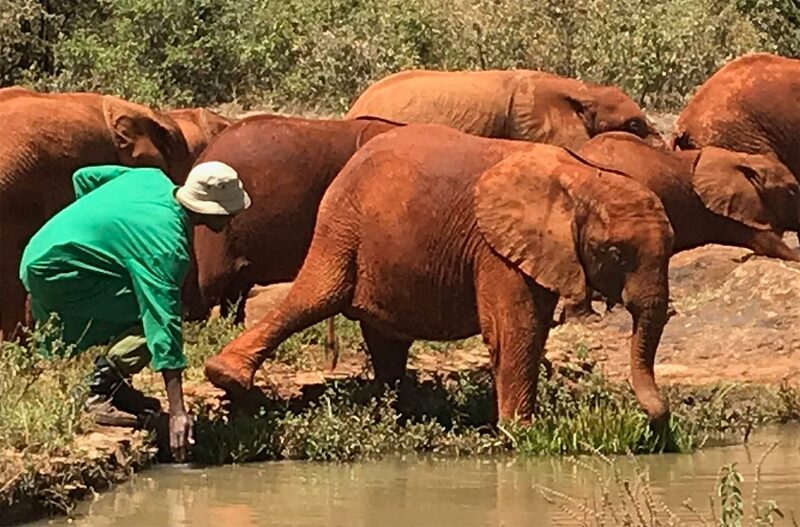 We had a number of elephants in Tsavo while I was growing up, and our orphans were divided into the big orphans, elephants, rhinos, buffalos and zebra – all of those would walk down to the river with their keepers daily venturing further afield. Then the little orphans were allowed to live around the house, garden and environs as they were not so destructive, sparing Mum’s garden a little. These were antelopes of all kinds, infant elephants, warthogs, mongoose to name just a few. Your mother, Dame Daphne is a massive force in the field of conservation. What values has she instilled in you? And how do you support each other? I have been running the Trust for 20 years now, supported by a wonderful husband and with the benefit of Daphne’s wisdom and guidance throughout this time. 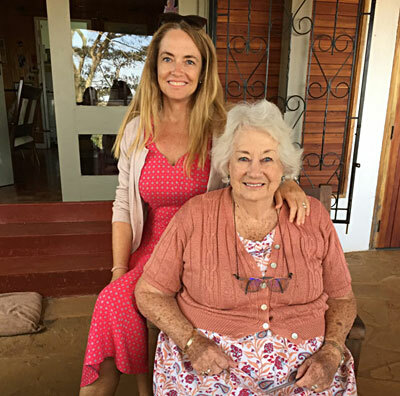 We have been able to complement each other because my husband and I have better understood the digital age, and Daphne has all the invaluable experience of a life lived and working in conservation, practically finding solutions to unique and varied challenges along the way. Her experience cannot be learnt in a classroom, because each case is different requiring an individual approach; there is no white paper to follow. Imparting this experience over the years, sharing in the highs and the lows has been invaluable for us all. My two sons have also benefited from growing up near Daphne as well, having her a part of their daily lives, and because of that, they have the passion and commitment to continue this extraordinary legacy in the future. What memories do you have of your father, David Sheldrick? I have many very special memories of David, who was a loving, attentive and wonderful father, someone who I am extremely proud of. He really was an extraordinary man and, in the fullness of time, I really appreciate just how ahead of his time he really was, a real renaissance man, so capable in carving out a wilderness the size of a country from virgin bush in a time without today’s modern conveniences, yet so compassionate and gentle. He is the one that taught my mother the most valuable lessons about the natural world and of course growing up, living it each day, defines one. Respecting nature and all living creatures, dismissing the arrogance of man that we are superior, understanding the complex nuances of other creatures, just how extraordinary all life is if one takes the time to learn about them. He knew so much about everything, not just animals, birds, reptiles, vegetation, but the insect world as well. David’s massive contribution to wildlife conservation continues with you and your mother. You are now CEO of DSWT. Is that a daunting responsibility? It has been wonderful to be in a position to now make much of David’s visions and dreams a reality, as so much of what the Trust has been able to achieve were things that David envisaged for the future. His memory still burns bright and his legacy will never be forgotten. What values and gifts have your pioneering ancestors passed down to you? I don’t consciously think about the values that have been passed down to me, but of course, you cannot be surrounded by such people without being hugely influenced by them in many ways. One thing I do know is these people were extraordinary with such intrepid spirit, courage and bravery because those early days were not easy – one tends to gloss over those days with a romantic veneer, but the reality was it was really tough then. Their stories are treasured and thankfully my mother captured many with my grandfather talking into dozens of tapes about the old days, and my mother later writing her own memoirs. She did it for that reason alone, afraid that these incredible people and lives lived might get lost in the sands of time. This way these unique characters still loom large in our daily lives and that of our children, and hopefully their children’s children. 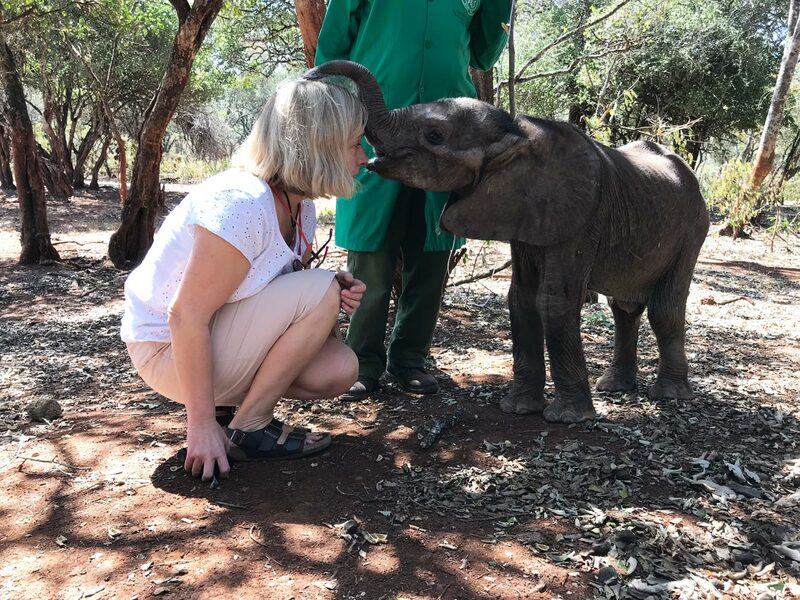 I feel blessed to be in a position to make a valuable difference to the natural world each and every day; to be empowered to save lives, priceless lives, as how do you put a value on a magnificent elephant, some 60 years old, who through our Mobile Vet Units we can now save from certain death at the hands of man with timely intervention. Standing in the presence of a slumbering monument as they sleep under anaesthetic while being treated, given a second chance, is one of the most humbling experiences anybody can have. It feels good, very important, and extremely satisfying. We are blessed in being able to make these small differences each and every day through the work of the Trust and our incredible teams. In addition to making donations and sponsoring orphans, how else can the public help? 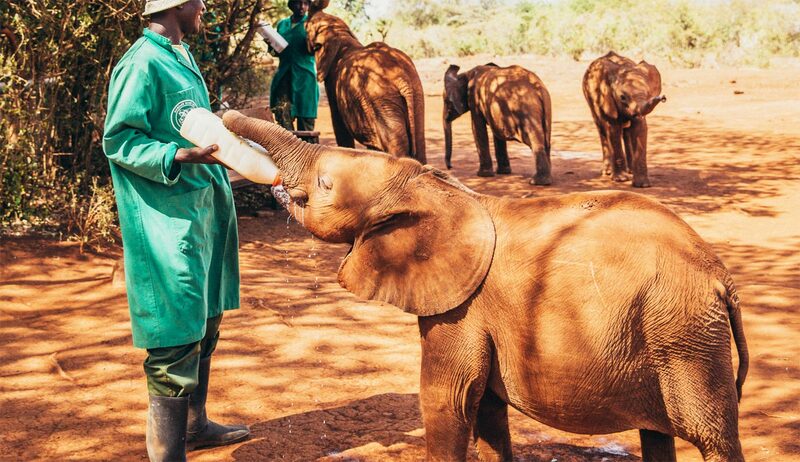 It’s important to remember that you don’t have to travel to Kenya to make a difference. 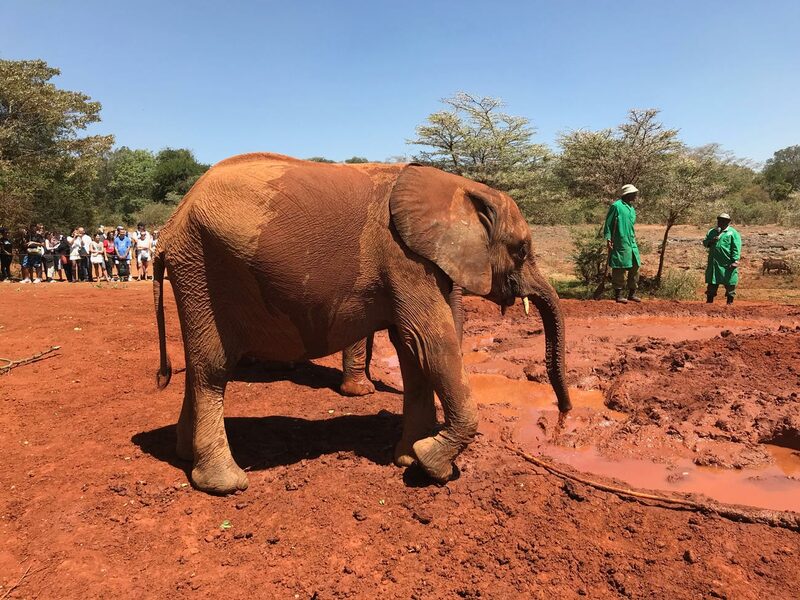 Raising awareness of the plight of wildlife and sharing news of the work of the Trust can be done from wherever you live in the world and we deeply appreciate efforts from our supporters to help with this, as it is only through financial contributions from the concerned public that we can continue our lifesaving work. One of the ways in which people can get involved is by following us on Instagram, Twitter and Facebook and sharing our posts which include news directly from the field. We add news daily to these channels and, by sharing our posts, the impact of our message – that we can all play a role in helping wildlife – can be doubled.